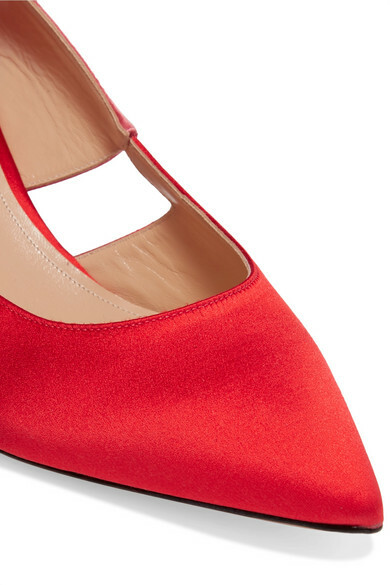 Pink and red is still the coolest color combination right now and we couldn’t be happier about it. 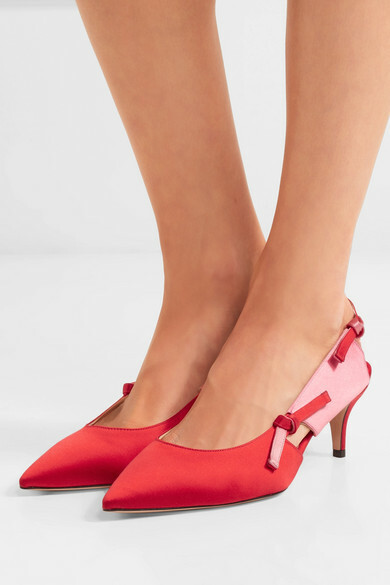 Paul Andrew’s 'Salomon' pumps have been made in Italy from satin and are perfect if you don’t want to tap into the look completely head-to-toe. 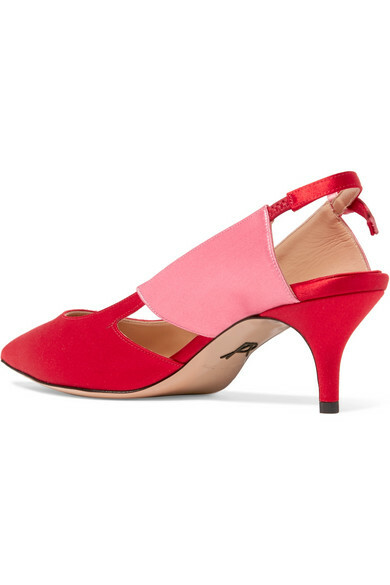 Show off the pretty bow details framing the slingback strap with midi hemlines. 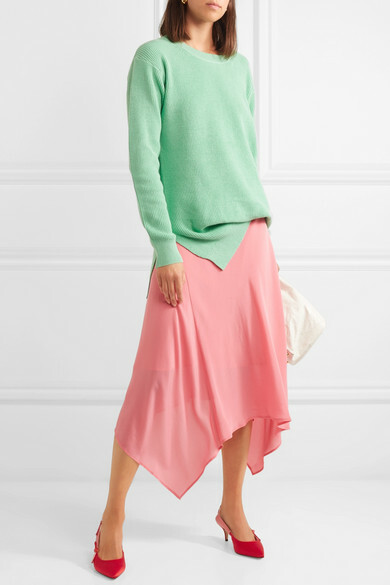 Shown here with: Sies Marjan Skirt, Sies Marjan Sweater, SIMON MILLER Clutch, Alighieri Necklace, Leigh Miller Earrings.